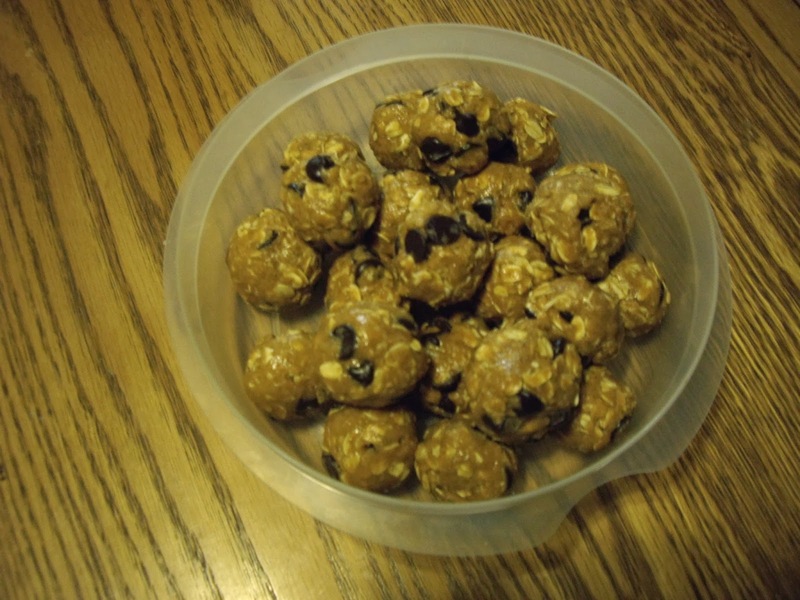 These are yummy and fast and healthy. No cooking or baking is involved. You are gonna love these! You will need a bowl for mixing. Put all the ingredients in a bowl and mix together. Start with a spoon and finish with your hands. Roll into balls and put into a container with a lid. I just keep mine in the fridge, but you don’t have to. I get about 18. How many you get depends on how big you roll the balls. DO NOT cook the oatmeal first!